LET'S SWEAT every Wednesday at T&B Downtown! 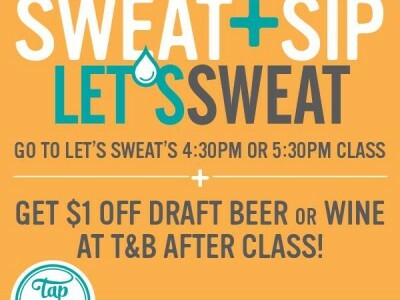 Come have a well-deserved drink after your class at LET'S SWEAT and get a $1 off draft beer or wine! Blues Review - Walbank, Counts & Stevens - Live & Free! 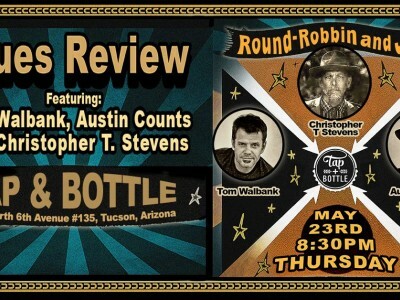 Veteran blues troubadours Tom Walbank, Austin Counts and Christopher T. Stevens join forces for a round robbin, trading songs in various styles of blues music. 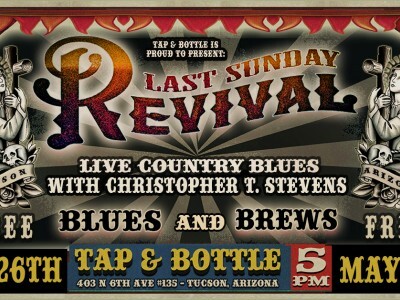 Live Country Blues w/ Christopher T. Stevens Sunday / 5pm @T&B Downtown! Leila Lopez - Live and Free! One of Tucson's finest songwriters returns to Tap & Bottle with her special brand of folksy dream crooning music.